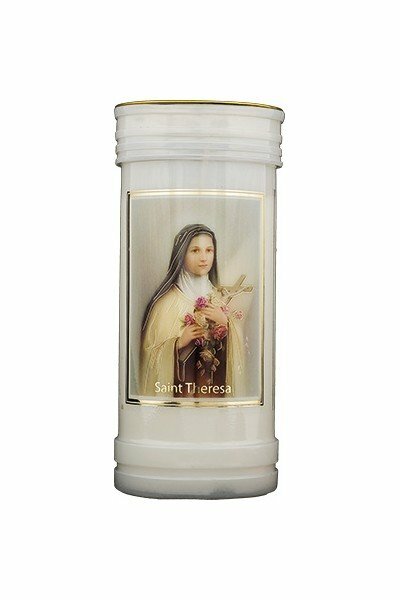 Saint Theresa 5 day devotional candle with a prayer on reverse, size 6 1/2″ x 2 1/2″ with a burning time of approx. 72 hrs. The candle can be burned within the container it comes in.